It is estimated that every year nearly 100,000 people die due to medical errors in the United States. It is estimated that hundreds of thousands more are injured by medical errors every year. This is unacceptable. But why does this happen? Hospitals and other medical offices all have patient safety rules meant to avoid medical errors that can lead to catastrophic injury and death. Our firm has and will continue to make sure hospital staff, nurses, doctors, surgeons, anesthesiologists, and all other types of medical healthcare providers who fail to follow their own safety rules are made to pay for their choice to ignore patient safety rules. What can represent medical malpractice? We've handled cases including, but not limited to: wrong site surgery, wrong side surgery, birth injuries, negligent administration of medications, failure to diagnose causes of temporary paralysis that turned into permanent paralysis as a result, and body parts that were cut that should not have been cut. Each case is different, and we are always happy to take a look. If you believe you have a medical malpractice claim, we will need to see the records. So contact each and every healthcare provider you believe did something wrong and collect the records and we can have a look. Having handled countless medical malpractice cases, we know how trying these cases can be. 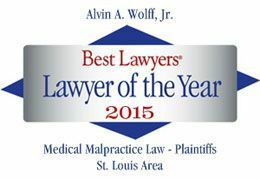 Our firm has a reputation as one of the best firms in America for medical malpractice cases. We will put the effort that earned that reputation to work for you.